user warning: UPDATE command denied to user 'icde2011_wp'@'server2.l3s.uni-hannover.de' for table 'dp_cache_filter' query: UPDATE dp_cache_filter SET data = '<p>\n	26. <a href=\"http://www.icde2010.org/\" target=\"_blank\">ICDE 2010</a> &ndash; Long Beach, CA, USA<br />\n	25. <a href=\"http://i.cs.hku.hk/icde2009/\" target=\"_blank\">ICDE 2009</a> - Shanghai, China<br />\n	24. <a href=\"http://www.icde2008.org/\" target=\"_blank\">ICDE 2008</a> - Cancun, Mexico<br />\n	23. <a href=\"http://www.srdc.metu.edu.tr/webpage/icde/index.php\" target=\"_blank\">ICDE 2007</a> - Istanbul, Turkey<br />\n	22. <a href=\"http://icde06.ewi.utwente.nl/\" target=\"_blank\">ICDE 2006</a> - Atlanta, GA, USA<br />\n	21. <a href=\"http://icde2005.is.tsukuba.ac.jp/\" target=\"_blank\">ICDE 2005</a> - Tokyo, Japan<br />\n	20. <a href=\"http://www.cse.uconn.edu/icde04/\" target=\"_blank\">ICDE 2004</a> - Boston, MA, USA<br />\n	19. 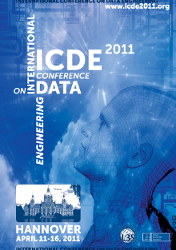 ICDE 2003 - Bangalore, India<br />\n	18. ICDE 2002 - San Jose, CA, USA&nbsp; &nbsp;<br />\n	17. ICDE 2001 - Heidelberg, Germany<br />\n	16. ICDE 2000 - San Diego, CA, USA<br />\n	15. ICDE 1999 - Sydney, Australia<br />\n	14. ICDE 1998 - Orlando, FL, USA<br />\n	13. ICDE 1997 - Birmingham, UK&nbsp;&nbsp; &nbsp;<br />\n	12. ICDE 1996 - New Orleans, LA, USA<br />\n	11. ICDE 1995 - Taipei, Taiwan<br />\n	10. ICDE 1994 - Houston, Texas<br />\n	09. ICDE 1993 - Vienna, Austria<br />\n	08. ICDE 1992 - Tempe, AZ, USA<br />\n	07. ICDE 1991 - Kobe, Japan<br />\n	06. ICDE 1990 - Los Angeles, CA, USA<br />\n	05. ICDE 1989 - Los Angeles, CA, USA<br />\n	04. ICDE 1988 - Los Angeles, CA, USA<br />\n	03. ICDE 1987 - Los Angeles, CA, USA<br />\n	02. ICDE 1986 - Los Angeles, CA, USA<br />\n	01. ICDE 1984 - Los Angeles, CA, USA</p>\n', created = 1433151991, expire = 1433238391, headers = '', serialized = 0 WHERE cid = '2:09512b87487a2cb4a57a7a9daf6a448c' in /var/www/other/ICDE2011/includes/cache.inc on line 109.